We are delighted to open our shop with the new Adidas kit range. Adidas will replace the Stanno kit although players and parents are reminded that the Stanno kit can be worn for an indefinite amount of time but will be no longer sold online. Please visit the shop here to purchase any Adidas kit. Today (12th February) our Elite Under 10,11 & 12 groups visited Sheffield United Academy to play games. The setup and facilities are fantastic and the environment created would entice any young player to want to play there. The games were a great experience for our boys and they all performed admirably. The Under 10’s played indoors in a 6-a-side game against some talented young players. Goals flew in at both ends and we had many players on the scoresheet. The Under 11’s, mixed with a few Under 10’s, played 2 x 7-a-side games outdoors. Both games were entertaining and we were very impressed with the ability of their players. Our boys did very well against them before understandably tiring in the final stages of the game. The Under 12’s played in a 9-a-side game outdoors and this was possibly the game of the day. Again, lots of entertainment with goals at both ends. We don’t normally single players out but credit to our goalkeepers, Rocco Parkin, Cameron Dyson, James Mattok, Jake Dooler and Brandon Harrison today who all had magnificent games. Thanks to Sheffield United for the invitation and to the all family members for getting the boys there. 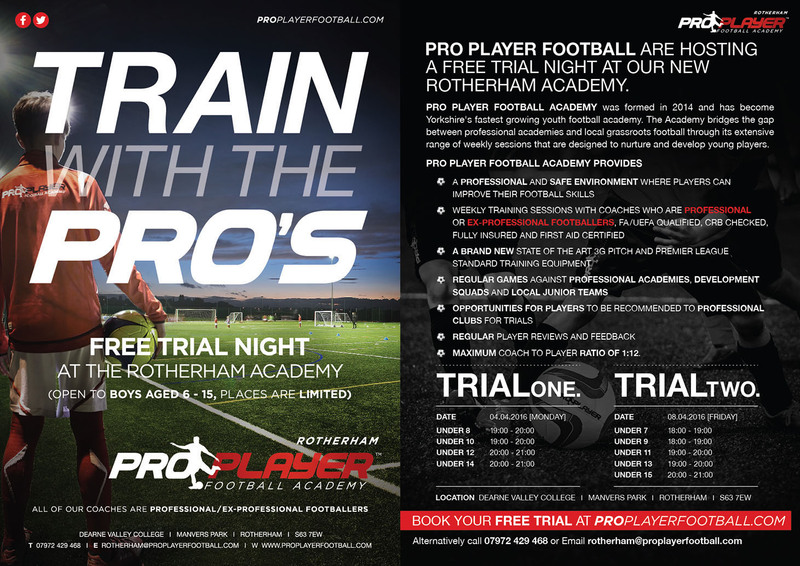 Pro Player Football Academy can now announce full details for our Rotherham Academy. The Academy will be based from Dearne Valley College and a free trial evening dates have been announced. Please book here to see full details and book your place. Places are limited to please book early. 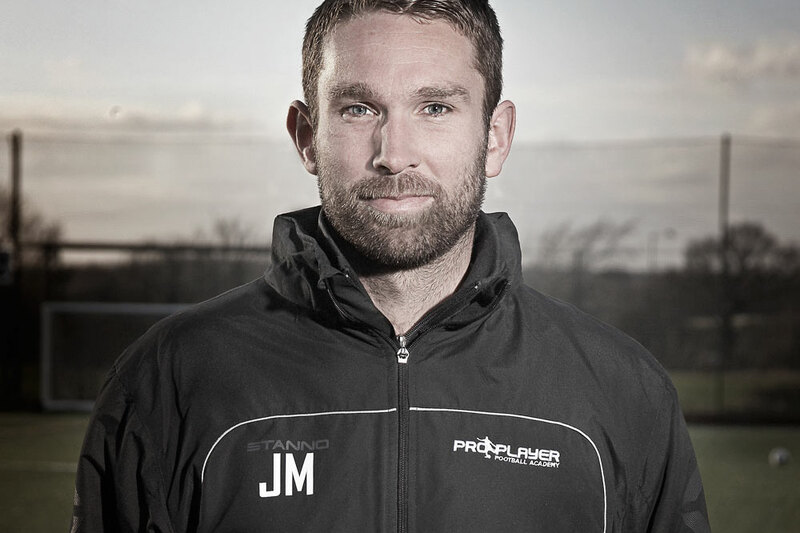 We are delighted to welcome Jamie McCombe to our Wakefield coaching team on a permanent basis. 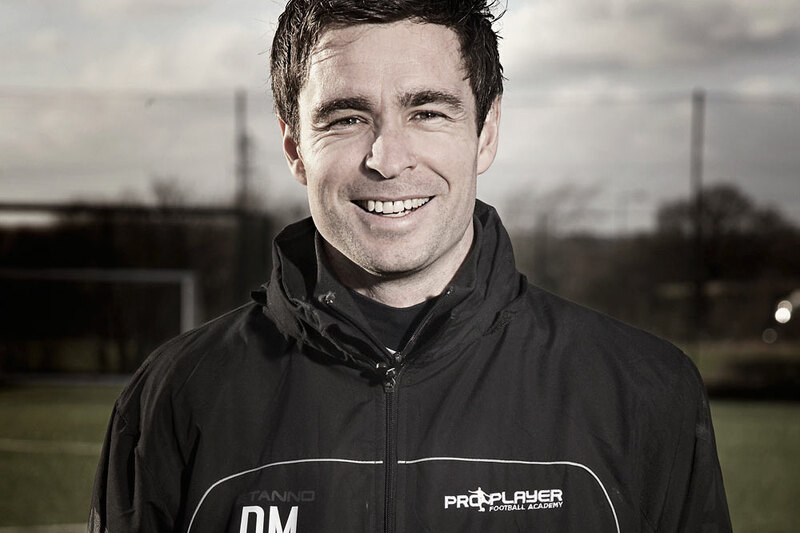 Jamie has worked with the team before but you will now see him each session as he begins coaching with us from Monday 15th February. 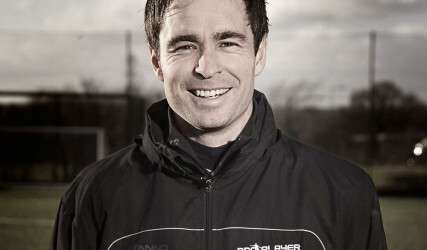 He has over 400 career appearances with his clubs including Doncaster Rovers, Huddersfield Town, Scunthorpe United and Bristol City. 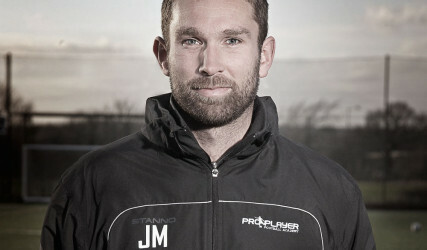 Jamie is progressing through his coaching badges and is a welcome addition to the Pro Player Football team. Congratulations to Academy Directors David and John who have both passed their UEFA B License this week. We encourage all of our coaches to progress through their coaching badges which enables them to bring the best out of the players who attend the Academy. David will now move onto his A License and John is working towards his Enhanced Youth Award. We are delighted to announce our new venue is to open at Dearne Valley College in Rotherham. We will host free trial nights with a view to joining our Elite and Development groups. Full details will be announced in 2 weeks time. At this point you will be able to book your free trial session. The venue has a, state of the art, 3G surface. The coaches are all in place. We can’t wait to meet you all. Keep up to date with our news page and social media for updates regarding the trial night. The Elite under 9’s & under 15’s will play All Star Football Academy at Kettlethorpe School on Monday 1st February. All Star Football Academy have a similar set up to ourselves and are based in York. Games for the under 13 & under 14 groups will be announced soon.